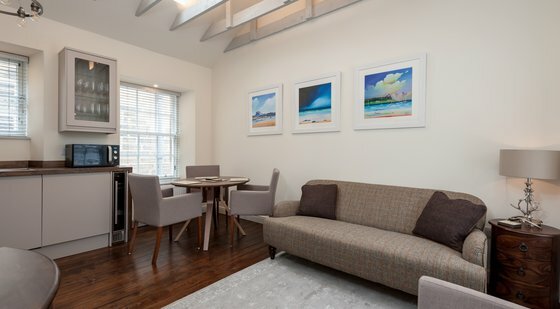 This modern one bedroom city centre apartment really is a hidden treasure amongst the bustling cobbled streets of Edinburgh Holiday Apartment really does make if a fantastic place to stay.. 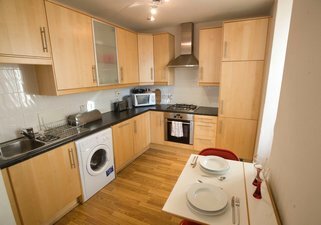 Although not a huge flat it is perfect for a couple or for 4 friends staying in Edinburgh for a few days or weeks holiday. A contemporary lounge with three large windows overlooking The Royal Mile. The open plan lounge and Kitchen/dining area provide ample space to relax after a busy day in the City. The lounge has wooden floors throughout... large rug, leather sofa and seating.. LCD TV and Free WiFi. 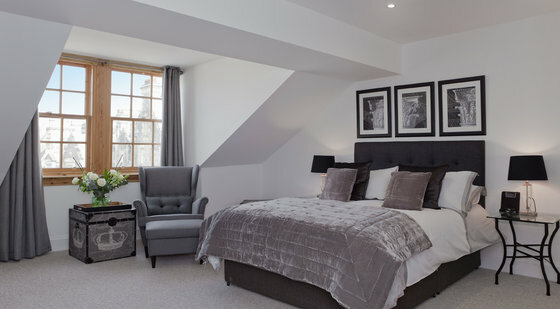 This unique second floor Edinburgh Holiday Apartment has just one double bedroom, with solid oak mirrored double wardrobes, bed and chest drawers. This apartment has a quality corner Sofa-Bed that is especially comfortable and gives an ideal base for families or a group of friends.. Easily sleeps 4 Adults. Fresh linen and bedding / pillows are provided along with clean towels. Equipment. Gas hob, Electric oven, Microwave, Dishwasher, Kettle, Coffee Machine, Toaster, Fridge freezer and washing machine / dryer. This apartment has a small bathroom with bath, shower, hairdryer... perfect size for a few days in Edinburgh. 1 Double bedroom with King Size bed + 1 Double sofa-bed in the lounge. The property has 1 Double bedroom an open plane kitchen and lounge area and a bathroom. 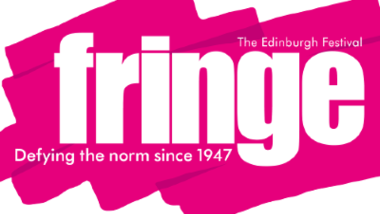 1 Bedroom Edinburgh Holiday Apartment on Fleshmarket Close and is situated on the second floor overlooking Edinburgh Fringe Festival you can literally view all the exciting street performances from the apartment windows. 🚘 Closest parking is New Street carpark just 5 minutes drive away. Great little apartment.. nothing fancy just a great place right in the middle of the city! 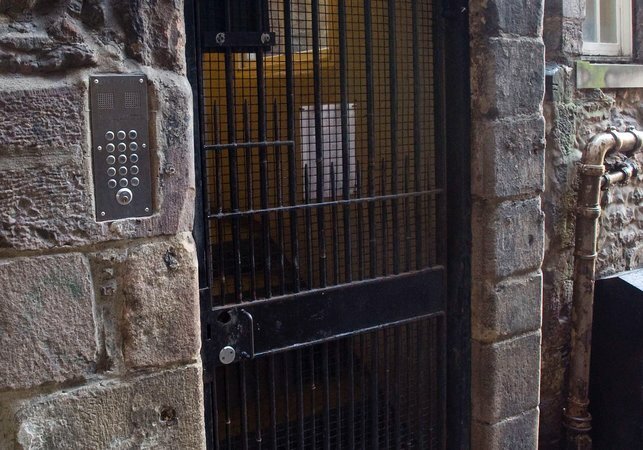 Location of the property is spot on, quite area, in the heart of Edinburgh within walking distances to all interested sightseeing spots. 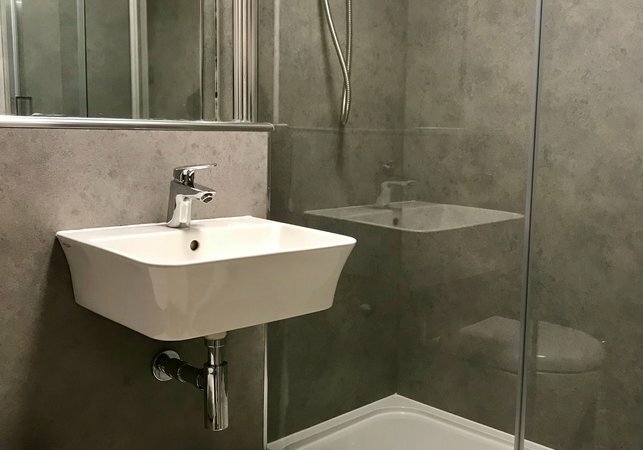 Nice place for family of four to stay.The apartment is looking good clean and tidy.Everything you need in the kitchen is all provided...Location is perfect too,just a few minutes walk and you will find historic building within the city. Thanks to Jon, very friendly and helpful to his customers. 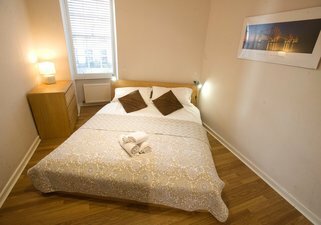 We were looking for a less expensive option for our stay in Edinburgh, and this flat was perfect: an excellent location to see the sights in a clean, cozy home away from home. Jeannette was responsive, warm and accommodating, and we really appreciated her warm welcome (she even met us at the bus stop to take us to the flat). 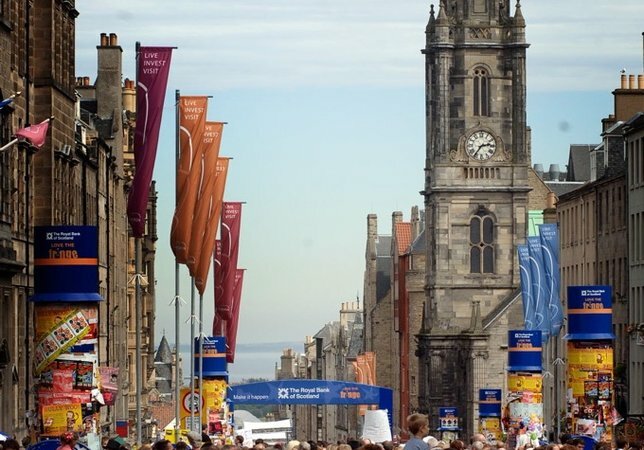 Added bonuses: it's an easy walk to the train station and, given the location right on the Royal Mile, it's pretty quiet. We'd stay again in a heartbeat. I stayed for two nights in this apartment with my parents and loved it. Would definitly think about staying here again. Great location and the airbed is amazing!! Loads of pubs and restaurants around and good central location for sightseeing. The only thing I would flag up to be aware of is the hill and stairs to get to it. We parked in the train station car park and it was hard work. I wouldn't let it put you off but be prepared. Great apartment, very well equipped and rooms larger than they appear on the website. Bathroom very small, especially if there are 4 of you staying, but wonderfully comfy beds and Jon was very helpful. The location is quite perfect - and handy for the open top jump on/jump off bus tours too. Great places to eat and drink within a few yards. 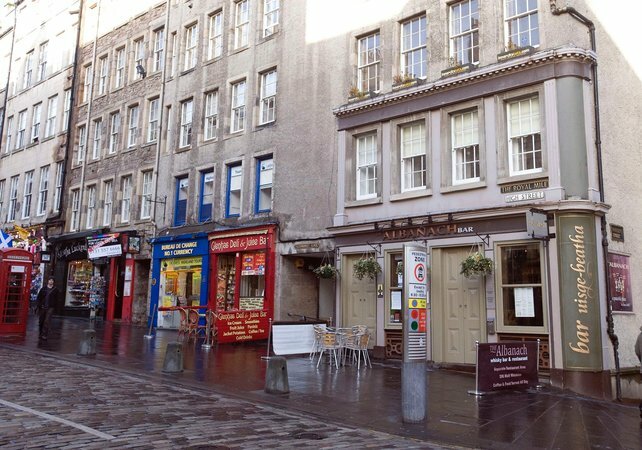 My husband and I stayed at Fleshmarket Close at the end of April 12. 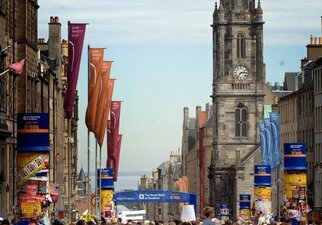 We had a wonderful time there as the apartment is right on the Royal Mile so all the major attractions are right on your doorstep. 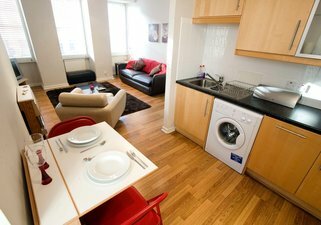 The apartment has all the mod cons you could need and is very clean and well maintained. Jon met us on arrival and after helping us with our luggage showed us around the apartment and gave advice on places to visit in Edinburgh. We had such a great time we are heading back for another break in September! 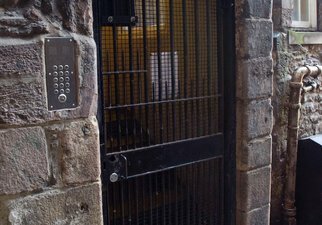 My family and I stayed at Fleshmarket Close over Christmas and loved the flat. 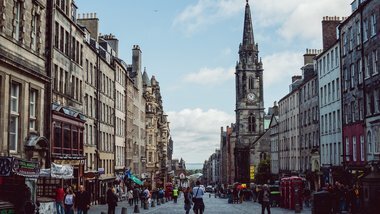 The location could not have been better – we were literally right on top of the Royal Mile. The flat was beautiful and well kept, and it comfortably slept the three of us. It was a steal for the price. Jon was great – he met us right when we got in from the airport and helped carry our giant bags up the stairs. 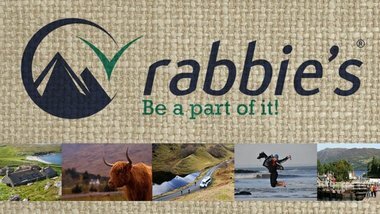 I highly recommend this flat and company! 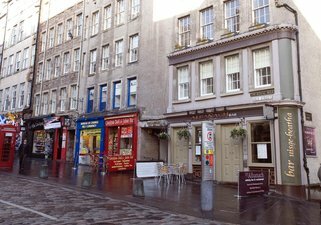 We stayed in the flat on Fleshmarket Close right off the Royal Mile. The description for the flat was very accurate and it was clean, well- maintained, and perfectly located. The owner provided great customer service and even helped carry our extremely heavy bags up the stairs. I would highly recommend this flat. We had a great stay. The apartment is located on the second floor so there are stairs.. no lift.